The soothing sound, flowing rhythmic patterns, and its powerful humming vibrations make the Gayatri Mantra a regular part of one’s daily spiritual practice. The Gayatri Mantra is an earnest and heartfelt prayer to the Almighty for the enlightenment. It doesn’t matter what one’s religion is, what one’s color or gender is – what matters is one’s intent and one’s feelings. One can find in the ancient Hindu scriptures that chanting of this sacred Mantra sends vibrations through the entire universe, appealing for peace and wisdom for all. Word to word Gayatri Mantra meaning: Om – Almighty God or Brahma; Bhur – Pranas, that is the embodiment of vital energy; Bhuvah – destroyer of sufferings; Svah – embodiment of happiness; Tat – That (God); Savitur – bright, the Sun, Creator or the source of all life; Vareñyam – adore; Bhargo: destroyer of sins; Devasya – Divine, the Supreme Lord; Dhīmahi – may imbibe; Dhiyo – intellect; Yo – who; Nah – our; Prachodayāt – illumine/inspire. 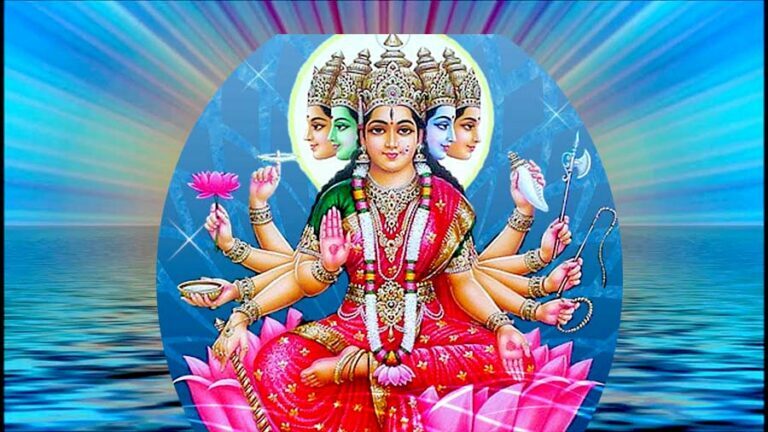 The Gayatri Mantra has three parts – first the Praise, second the Meditation, and third the Prayer. First, the Divine is praised, then it is meditated upon in reverence and lastly, an appeal is made to the Almighty to remove the veil of darkness or ignorance and to awaken and the intellect. Chanting of the Gayatri Mantra purifies the mind and confers devotion, detachment, and wisdom. It protects you from harm wherever you are – whether traveling or working or at home. Studies have found that the vibrations produced by chanting of this mantra with the correct accent as laid down in the Vedas illuminates the atmosphere around you. The Divine Effulgence, will descend on you and illumine your intellect and light your path when you chant this Mantra with full devotion. Thank you for sharing this valuable information…. Thanks Lalit ji. My pressure Sir.